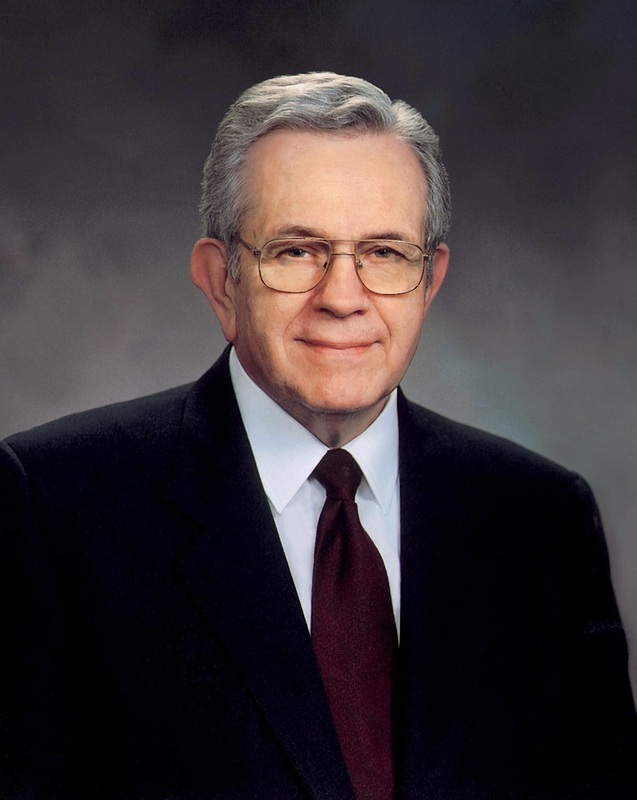 President Boyd K. Packer (born Sept 10, 1924—92 years ago today! 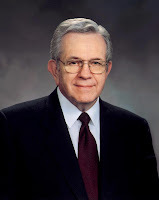 Died 2015) served as an Assistant to the Quorum of the Twelve (a position that no longer exists) from 1961 to 1970, when he was called to the Quorum of Twelve Apostles. He served as president of that Quorum from 1994 until his death on July 3, 2015 at age 90. "Too many of us are like those whom the Lord said '[came] with a broken heart and a contrite spirit, ... [and] at the time of their conversion, were baptized with fire and with the Holy Ghost, and they knew it not' (3 Ne. 9:20; emphasis added). "Imagine that: 'And they knew it not.' It is not unusual for one to have received the gift and not really know it. 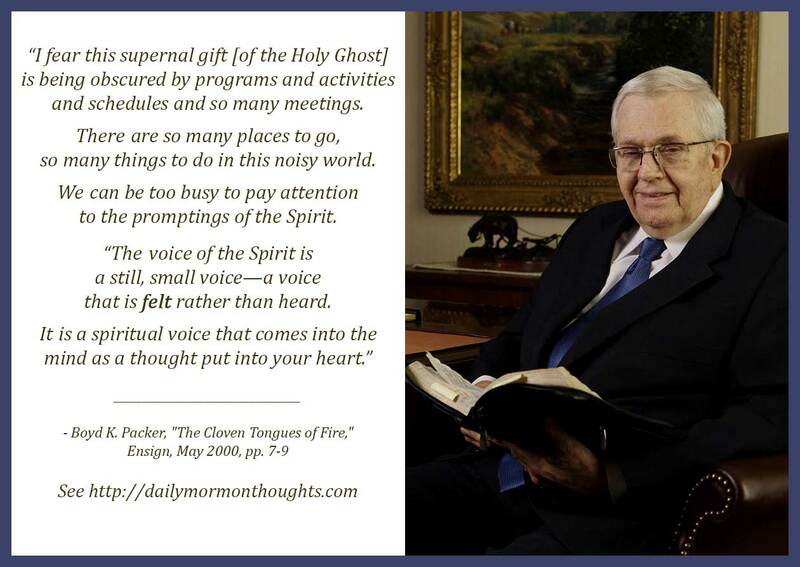 "I fear this supernal gift is being obscured by programs and activities and schedules and so many meetings. There are so many places to go, so many things to do in this noisy world. We can be too busy to pay attention to the promptings of the Spirit. "The voice of the Spirit is a still, small voice—a voice that is felt rather than heard. It is a spiritual voice that comes into the mind as a thought put into your heart. "And soon we learn that the tempter—the adversary—uses those same channels of the mind and heart to inspire us to evil, to laziness, to contention, even to acts of darkness. He can take over our thoughts and lead us to mischief. "But each of us has agency; ever and always light presides over darkness." Labels: adversary, agency, Holy Ghost, inspiration, Packer Boyd K.